Boris Johnson seeks to hire an envoy to lead discussions with Libya on behalf of IRA victims and their families. Lawyers and campaigners have been demanding compensation on behalf of IRA victims who believe the Gaddafi regime supplied the IRA with Semtex during the troubles. Sources have claimed that the Foreign Secretary already has a high profile list of names, and hopes that one of them will lead discussions with Libya. The Gaddafi regime supplied the IRA with Semtex, a plastic explosive used in the Canary Wharf bombing in 1996, which killed two people. The news comes after ongoing outrage from MPs, angry after deals of compensation from Libya have been made with US, France and Germany. Last week Frank Baker, the UK's ambassador to Libya said only a "few MPs" had been making the demand that Gaddafi's assets could be used to compensate families of victims. 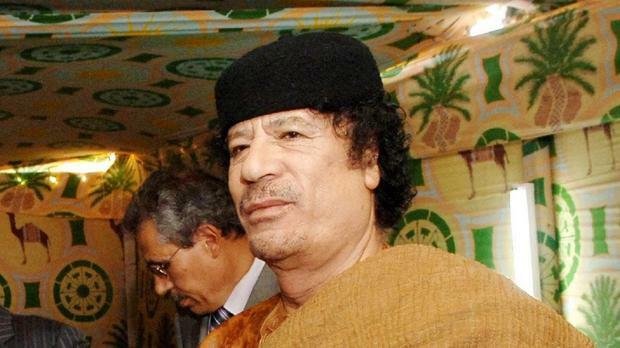 Some of the campaigners have claimed the Libyan government gave a signed commitment to the UK back in 2011, that Gaddafi's assets, which are now frozen in the UK, would be be used to compensate those families of injured and killed victims of the IRA. Jim Fitzpatrick, the Labour MP for the Docklands has reached out to Boris, said: “My message for Boris is simple, we know you want to help, please take this opportunity today in Libya to get a deal moving. “The victims have waited for too long already. It’s time to just get on with it. Matthew Jury, a lawyer at McCue & Partners said: “The Government’s policy of politely asking for just reparations simply hasn’t worked. "Boris Johnson must use all the UK’s influence and leverage to demand that Libya do what it promised to do in 2011 and make amends for the terrible violence that was done to the UK,' added Matthew, who has been been representing some of the victims. “An agreement has already been signed. All the UK has to do now is enforce it. The Foreign Office have declined to give a comment.